Do you often feel that you are not quite “good enough” at what you do? Are you very self-critical, always finding fault in what you think, say or do? Are you the ‘YES’ person, always quick to go along with others and fulfil their needs rather than check your own needs? Do you hold yourself back from situations, people and achievements because of fear of not measuring up? Do you give up completely when you hit a roadblock? Do you lack resilience and feel defeated in the face of adversity? Do you have a low opinion of yourself? Do you feel self-conscious and constantly wonder how you are being perceived by others, rather than assessing and evaluating your own contribution? Do you feel you are not worthy of contentment, satisfaction, love or success? Are you the compulsive caregiver? Do you get over-involved in the lives of others with little regard for the impact it has on your health, wellbeing and life choices? Are you your own worst critic? Is your internal dialogue fearful, shaming, angry, negative and critical? Do you have a harsh relationship with yourself? Low self-esteem can be the reason that we behave the way we do. We can act out from this place of insecurity, low self-worth, little self-appreciation or even self-knowledge. If we are not measuring up in our own minds, we can turn to many unhelpful coping mechanisms like denial, self-pity, criticising self and others, holding-fort in a comfort zone, disengaging from effort or goal setting. “Low self-esteem is like driving through life with your hand-brake on” – Maxwell Maltz. The relationship we have with our self is a foundation for all other relationships and situations. Reflecting on your Self-Esteem is the starting point your journey to improved wellbeing. Would you like to build your resilience? Would you like to treat yourself with more support, encouragement, kindness and patience? Would you like to feel self-acceptance rather than self-doubt? Would you like to approach life with an attitude of growth and optimism rather than feeling driven by fear? Would you like to open yourself up to opportunities rather than focus on the threats in life? Would you like to be able to value who you are? Don’t you owe it to yourself and your loved ones to become your best imperfect self? To work on your self esteem means embarking on self-discovery, self-reflecting on your own life and taking steps to build your personal self-esteem. This course has been developed using therapeutic techniques from Cognitive Behavioural Therapy, Dialectical Behaviour Therapy, Psychosynthesis, Art Therapy, Mindfulness and Choice Theory. In our evidence based pilot run of the course using the PANAS Scale*, participants reported a positive affect, with an increase in feelings of inspiration, excitement, enthusiasm and emotional strength. They also reported an increase in personal life satisfaction using The Satisfaction with Life Scale*. As you navigate through each module, you will be encouraged to carry out self-reflection, in order to aid your understanding of how the theory relates to your own life. You will be taken through practical psychological interventions, steps, tools and supports to update your responses to be more helpful and build your personal self-esteem, self-acceptance and resilience. * E. Diener, R. A. Emmons, R. J. Larsen, & S. Griffin (1985). The Satisfaction with Life Scale. Module 1 – What is self-esteem? How does it affect us? Where do I get my self-esteem? Positive rephrasing & daily affirmations. Listening to our body through ‘Mindfulness’. Understanding what the body needs. Understanding how our environment, relationships and community affect self-esteem. This course is a gift to anyone who wants to improve their self esteem as it has everything one needs in one place to enable one to start making changes immediately. The information shared by Vivianne, the slides, the worksheets, the additional resources contain all the tools required to start working on building on ones self esteem. The changes can be easily incorporated in your daily life. Thank you for making such a wonderful and essential course. A very good, well presented and interesting course. The tasks sheets were an asset and enhanced what we were learning during the module. Would definitely recommend any course by Vivanne and Anokha Learning. An enjoyable and positive learning experience all round. Look forward to completing future courses. Vivianne is an excellent teacher with immense skills. There is a lot of learning and wisdom in the online course. I am grateful to have been a participant on the course. The story of the trapped elephant will stay in my soul. 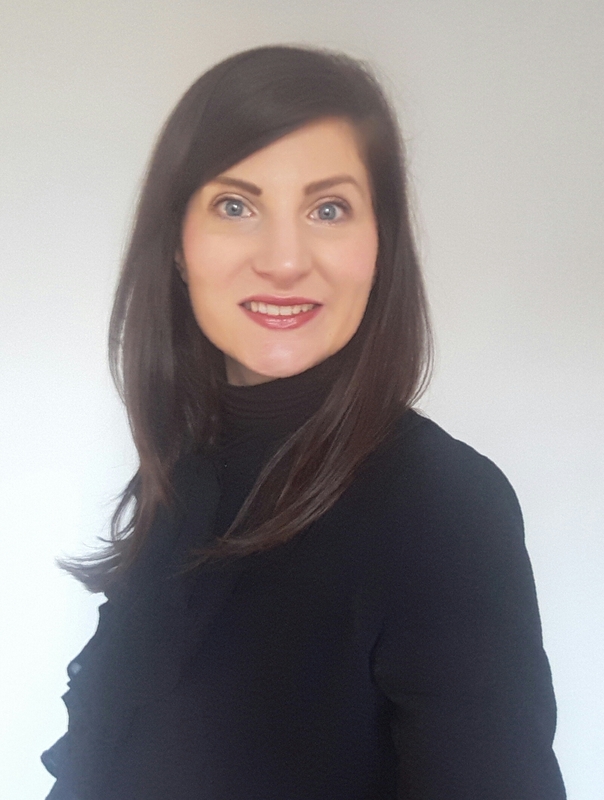 Vivianne Maloney is a qualified Counsellor and Psychotherapist holding a National Diploma in Counselling and Psychotherapy and is an accredited member of the Irish Association of Counselling and Psychotherapy (IACP). Vivianne’s approach to Counselling is integrative, calling on both her creativity and her therapeutic skills. These skills include Person-Centred Approach, Gestalt, Cognitive Behavioural Techniques, Loss and Bereavement Counselling, Psychodynamic Perspectives, Dialectical Behaviour Therapy, Advanced Counselling Skills and Psychosynthesis. Having a previous background in Art & Fashion Design, she also has a great interest in Art Therapy and has attended workshops in this field. Vivianne offers Counselling in private practice and for The Family Centre, in Castlebar, Co Mayo. Vivianne holds a Level 6 Certificate in Training and is a Certified Associate in Project Management with the Project Management Institute. Vivianne facilitates her own training programmes as follows: ‘Build Your Self Esteem’, ‘The Art of Appreciation’, ‘Effective Communication’ and ‘How Food Affects Your Mood’. All courses have run in various Family Resource Centres, Cancer Support Centres, Women’s groups etc. and are now available consistently in the Family Centre, Castlebar, Co Mayo. Vivianne also co-facilitates a ‘Discover your Interests’ programme under the Flourish Project which tackles social isolation. Vivianne is the contract trainer in the West for Aware – the National Organisation for Depression and Bi-Polar. In this capacity she delivers ‘The Life Skills Programme’ and ‘The Relative’s Programme’ throughout the region. These courses are designed to support those experiencing Depression, Bi-Polar, Stress or Anxiety; either personally or in their relationships. Vivianne’s approach as a trainer & facilitator is a person-centred approach, in which she calls on her therapeutic & communication skills to value each individual to aid their growth and learning. All of her courses incorporate learning opportunities from different modalities to facilitate the different learning styles and personality types. Vivianne has collated her experience and expertise to deliver her first online course in collaboration with Anokha Learning – ‘Build Your Self-Esteem’.